The author's voice is conversational and engaging. He has a perspective that many tourists lack today: he began traveling through Italy before the age of mass-tourism, when it was still possible to find a cicero, a private Italian guide at a place of interest. The reminiscences about a time when Italy's treasures were easily accessible and her streets were passable seems like from another century rather than from just a few decades ago. Such is the newness of the mass migration to enjoy Italy's riches that occurs each year. 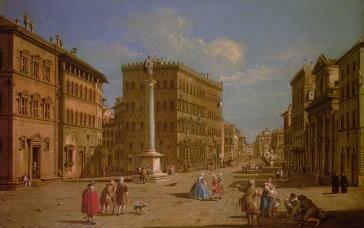 Florence's Piazza Santa Trinita during the classical Grand Tour. Note the space to walk without crashing into cars, scooters or people? Ah, those were the days. The sights selected are personally meaningful to the author, and rigorously selected to give the most pleasure to the most people. They favor art, churches, buildings, small towns, monasteries, Roman Ruins, and Medieval towns. The region sections are fronted by simple maps of the region, marked by the general locations of the sights described. The text is accompanied by many images. All of Italy's history is covered, from tribal era, to Roman era, to the many conquerors. The author provides tips on access to the sights, the history, the main attractions, some walking routes, and some quick descriptions of the art. For art lovers, other sources need to be consulted to provide further details about the many, many pieces of art to be seen at the many churches and museums. The book seems aimed at people planning a driving-tour of Italy, and is directed at British tourists in particular. Verona has long haunted the English imagination. Classical Grand Tour amateur artists studying perspective in the Roman Forum without police, guards, tour groups, or barriers. Many of the author's descriptions convey his deep love for Italy. La Verna remains a place of rare beauty, not least in September when the woods are carpeted with pale cyclamen. It has, too, an unexpected magic when mist shrouds the unpretending buildings. The author does not shy away from pointing out that modern Italians too often lack appreciation for the beauty that their ancestors reveled in. Democratization has led to much ugly-fication of Italy. Like so many ancient cities, Perugia has long outgrown her early walls, and much of the new town is remorselessly ugly. But even since I first knew it in 1966, the valley below Assisi has been horribly scared by unsightly development. 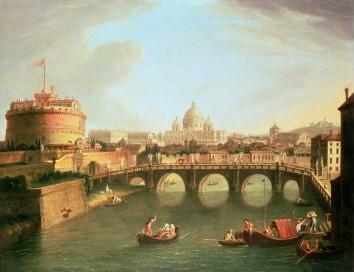 A Grand Tour view of Rome from the Tibur River. Many of the sights described in the book are virtually impossible to reach during the tourist high season. The author admits as much, and recommends travel to Italy from November through February, to avoid the crush. From personal experience, even traveling in winter is not going to overcome the impossibly congested Italian roads in the cities, both large and small. We gave up on Bergamo, for example, after spending an hour and an half stuck in a traffic jam in the city's periphery in the middle of the day in mid-winter! The author, however, often paints a nicer picture of Italy than is the reality today. There is little mention of the traffic, graffiti, pollution, inconveniences of service and opening times, and rudeness of many Italians to tourists. The author assumes you will put up with it all to view Italy's amazingly vast treasures. Having been to Italy many times, I actually found the book a wonderful replacement for all the inconveniences and grime and insults. This is a great book for the armchair traveler! It even includes a Glossary with Italian, historical, and art terms, and there is a full index. 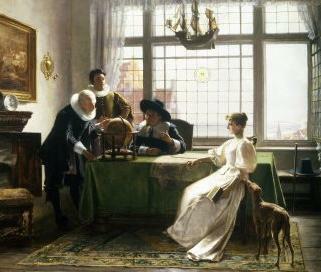 A Dutch family planning their Grand Tour. This personal, and wonderfully well-informed, selection of the most rewarding towns, cities, villages, and individual monuments in Italy is the definitive guidebook for the discerning traveler. The author has been visiting Italy, for study, for work, and for pleasure, for over fifty years, and is the perfect companion for those who want to know about more than the obvious attractions. 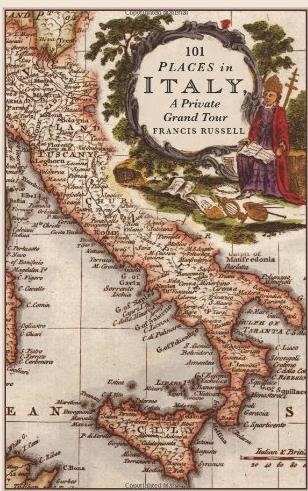 As well as comprehensively covering the finest sights in the major tourist centers of Rome, Florence, Venice, and elsewhere, Francis Russell discusses and describes the neglected, or little-known, masterpieces that are still to be found the length and breadth of the Italian peninsula. In a book that will educate and astonish the expert as surely as it will guide and inform the first-time visitor, the author chooses and explores palaces and gardens, city squares and lonely churches, frescoes and altarpieces, great museums and tiny ruins that together provide a richly textured portrait of a country where the history and patterns of civilization lie more thickly than anywhere else on earth. This book will immeasurably enhance and enrich the visitor's experience of the most visited country in the world, by virtue of its sensitivity, its wisdom, and its deep knowledge, and by means of its vivid, eloquent, and entertaining exposition.Francis Russell was educated at Oxford. 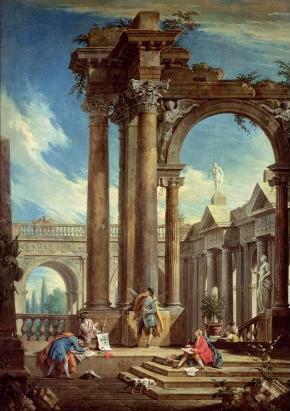 He is deputy chairman of Christies and specializes in Old Master and Italian paintings. 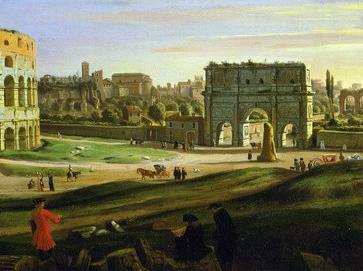 The Grand Tour era views of the Colosseum and the Triumphal Arch were very different from today's views! Animals still grazed in the grass covered Forum. 101 Places in Italy is published by Wilmington Square Press, an imprint of Bitter Lemon Press. Wilmington Square Press: A non-fiction list dedicated to writing about culture and society. It includes works on the visual and plastic arts, literature, history, philosophy and travel, by such authors as Francis Russell, Ian Hamilton Finlay and Raymond Tallis. Books chosen for their originality, their quality and their contribution to knowledge and to debate. 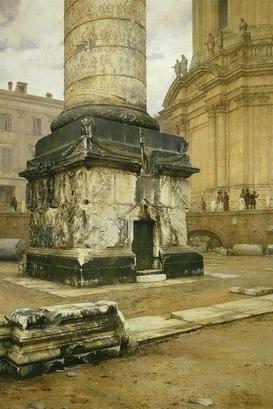 When the original still stood in place in Rome.